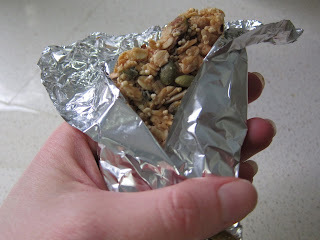 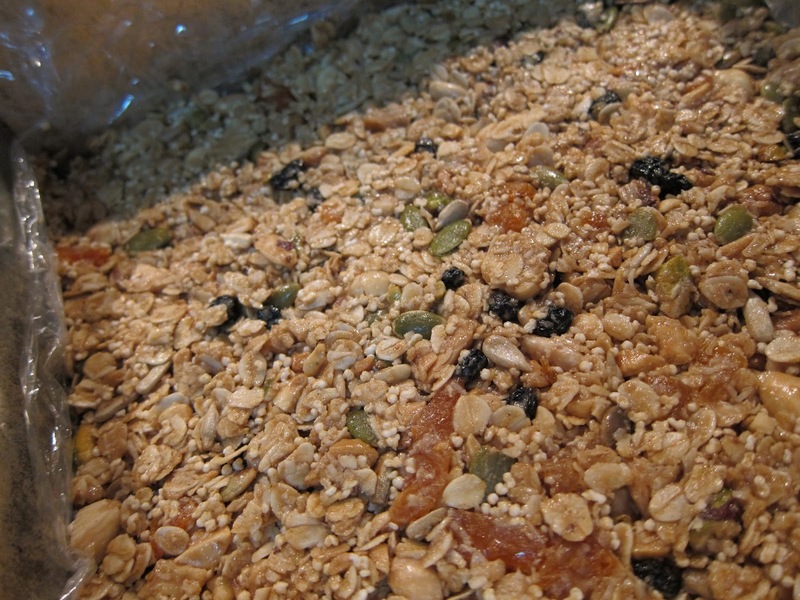 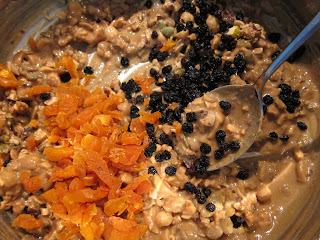 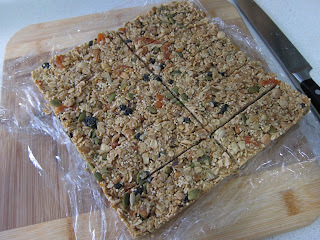 When I was little my mum used to make homemade muesli bars. 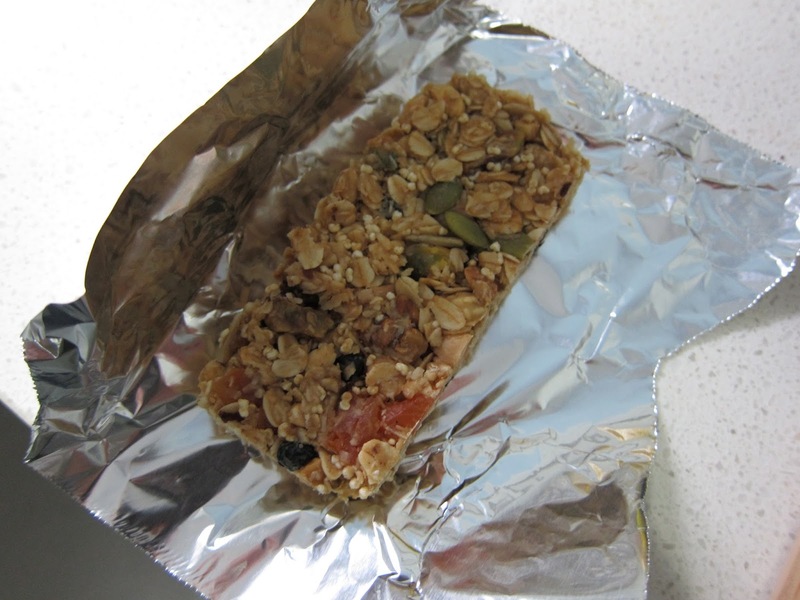 'Little lunch' time would arrive at school and everybody else would be pulling out their Uncle Tobys muesli bar with the fancy packaging and the chocolate drizzle and I would have a homemade number wrapped in foil because my mum thought the bought ones were full of sugar and not healthy. 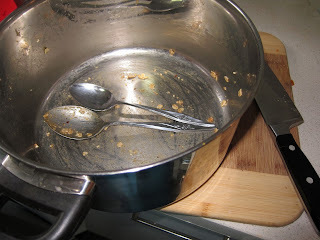 Fast-forward 20 years and I agree. 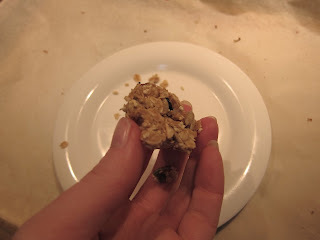 Recently I got the recipe from her and made it up and gosh they were delicious. 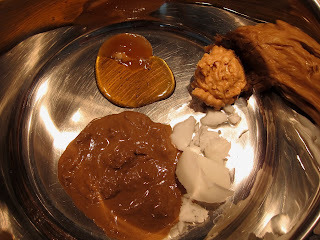 No doubt they were a lot healthier and less processed than the commercial ones but they were still had a bit of processed sugar and delicious butter. 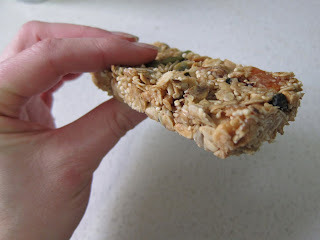 So here is a homemade muesli bar for the 21st century encompassing our society's hatred for refined sugar and dairy (not my hatred I hasten to point out but I do try to not eat too much refined food). 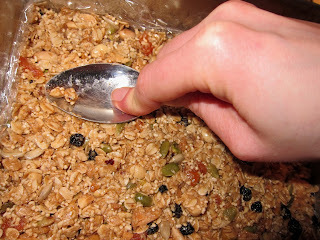 This is a great recipe for using up all the leftovers of multiple baking projects that fill the pantry. 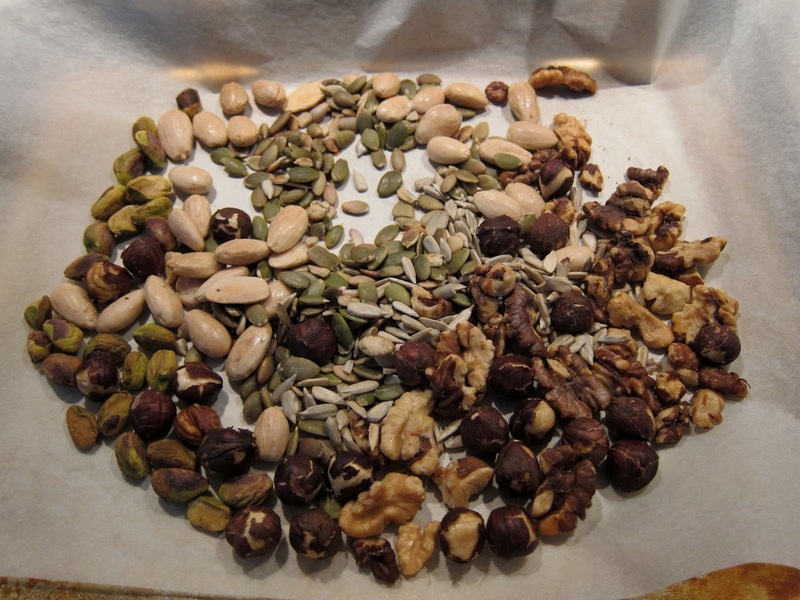 I went through and pulled out quarter-bags of blanched almonds, pistachios, walnuts, and hazelnut plus my high-rotation pepitas and sunflowers seeds and popped them on a baking tray to roast a little. 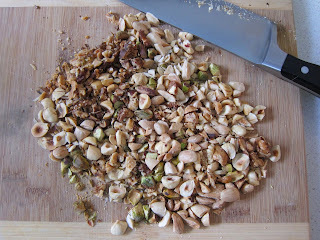 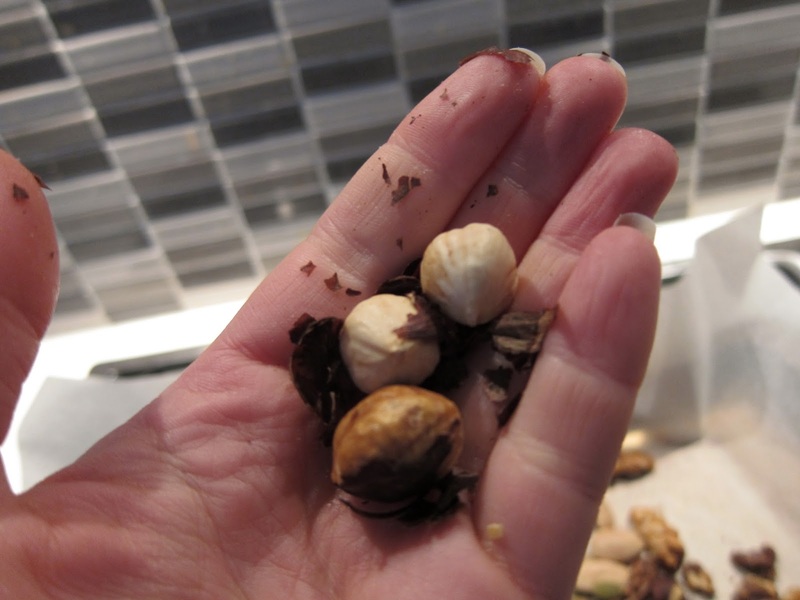 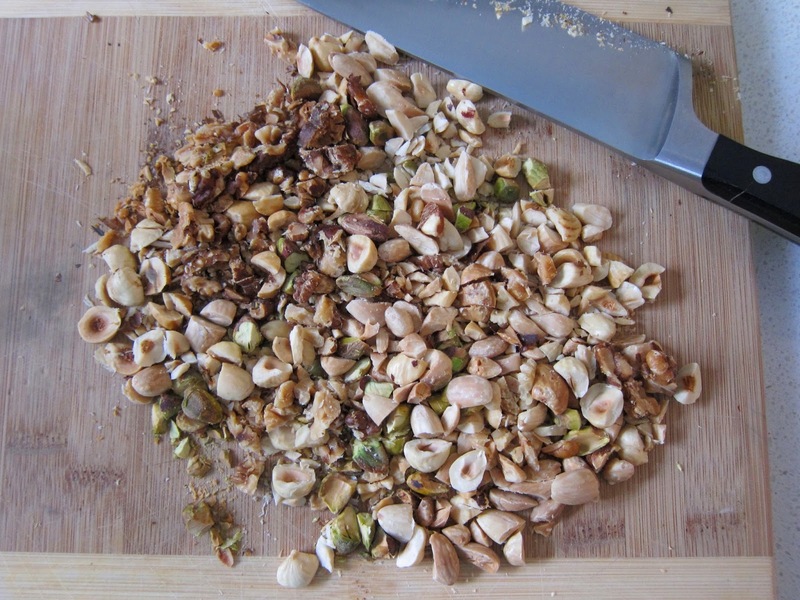 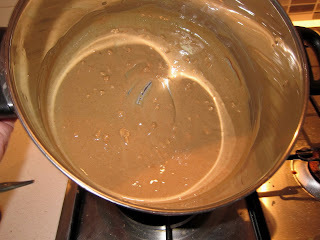 Roasting hazelnuts means that the skins just flake off- so easy! 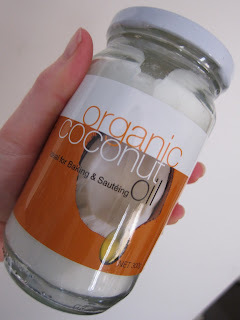 Coconut oil is solid at (cool) room temperature and certainly at fridge temperature where the bars will be stored, so it helps stick everything together and apparently it is a super food; I'm not sure whether it is or not but it has a nice subtle flavour for this purpose and claims to have some health benefits. 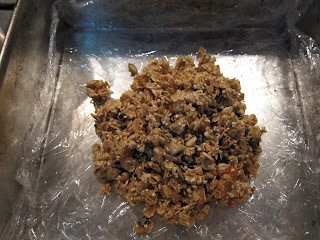 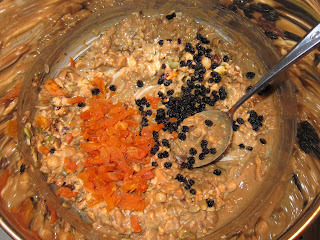 Then add in some oats and desiccated coconut. I also chucked in some puffed amaranth, an ancient grain which makes it so much cooler than modern grains (although it is technically a pseudograin). 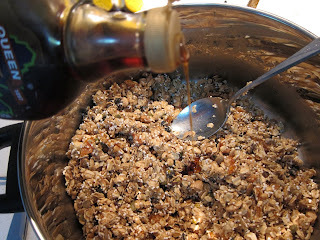 A little drizzle of maple syrup just 'cause I like it. At this stage you may need to add a little more honey and coconut oil to stick it all together (melt your coconut oil first). A good way to test is to mould a little mound of mixture on a plate and stick it in the freezer for 5 minutes, if it holds together you are good to go. Commercial bars use heaps of glucose syrup to do this. 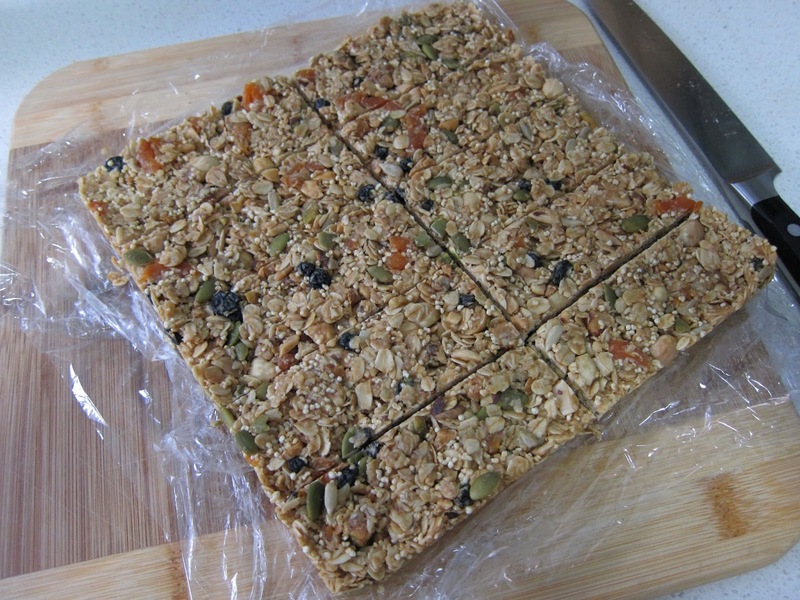 When you are happy with the consistency, pop your mixture into a baking tray or tin lined with cling wrap. 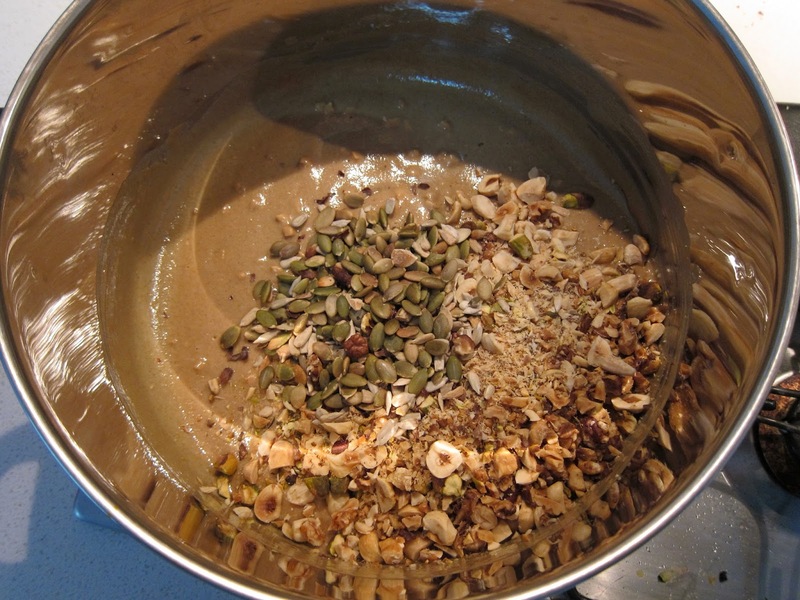 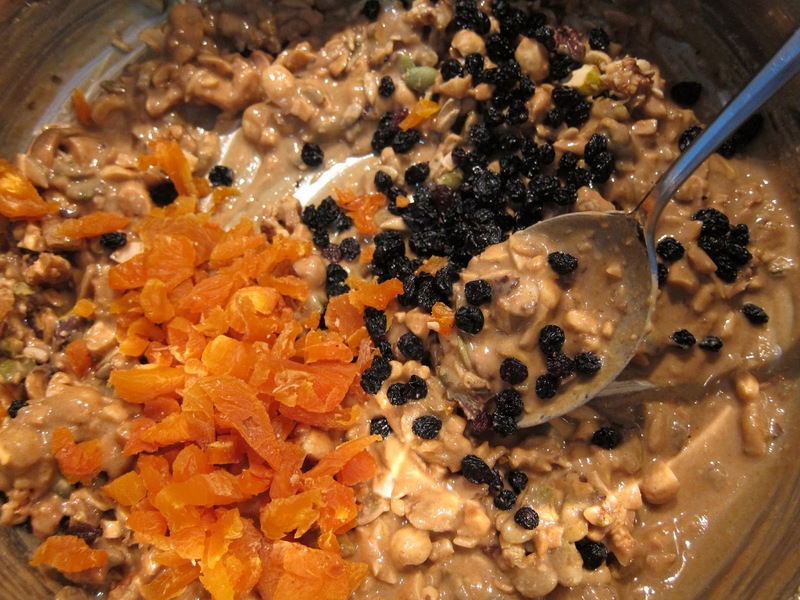 This recipe can be adapted for raw food lovers too. 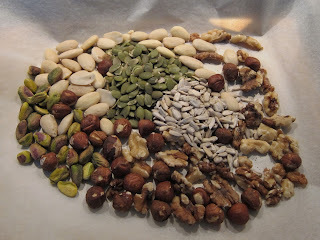 Obviously don't roast the nuts, use low heat to incorporate moist ingredients (apparently heating to 'blood temperature', about 37 degrees C, isn't cheating) and use non-roasted nut butter or cashew cream instead of peanut butter. mhhhm that looks delicious! My coconut oil is currently residing in my bathroom as a moisturiser.. wonder if I move it into the kitchen now? !